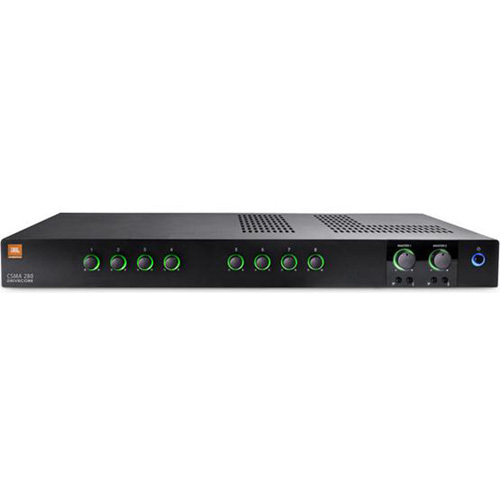 The CSMA 2120 Commercial Series Mixer/Amplifier from JBL is a two channel mixer/amplifier with 8 mixer channels. 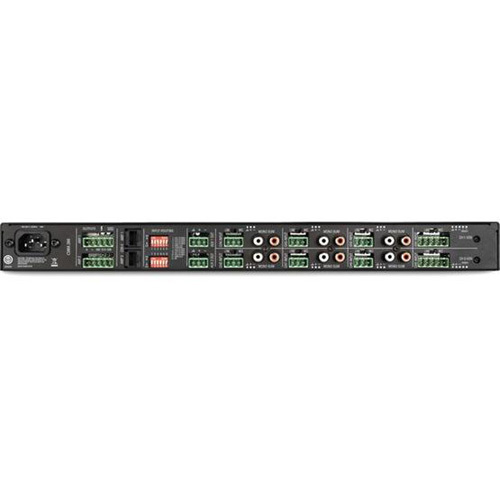 The CSMA 2120's front panel features volume controls for each channel, master volume adjustment, adjustable bass and treble rotary controls, and a power switch. The Volume controls are surrounded by an illuminated ring so they can easily be seen and operated in darkened environments.